She dreamed of adventuring across the stars as captain of her own sleek ship. Then Anailu Xindar grew up. She didn't lose her dream-she changed it; made it practical. She became a starship engineer; she saved her money; she earned the skills and experience a starship captain would need. She still didn't feel ready to go out on her own-but then her safe job went sour. With her newly minted Imperial Shipmaster's License in hand, Anailu just needs to find and buy a cheap, reliable freighter. Instead, she ends up making a crazy deal for an impractical, rare ship that's long on beauty-but short a few critical components. She's determined to get her crippled ship back out among the stars, but her technical skills won't be enough. Anailu will have to brave the dangers of a planet on the edge of the empire: safaris, formal dinners, rogue robots, and a fashion designer. She may even have to make a few friends-and enemies. 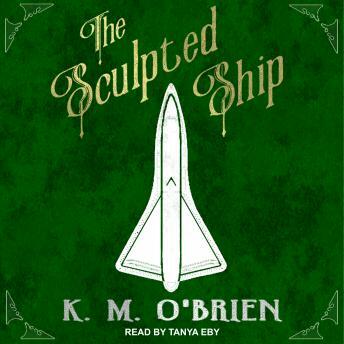 The Sculpted Ship is set on the outskirts of a thousand-year interstellar empire, where a young woman with ambition, skill, and manners has a chance to achieve her dreams.